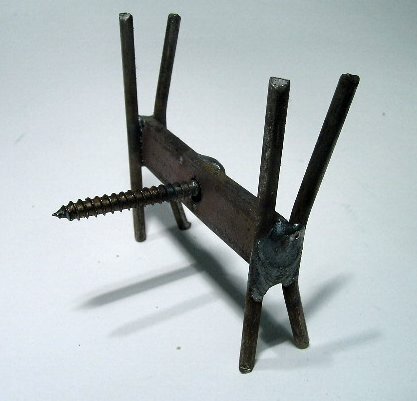 PRODUCT DESCRIPTION: This wood screw design is for secure mounting. You either place the stand on a "portable" foundation or mount it directly to window sills, wood fences, decks, etc. where the use of our stake design is not possible. The direct mount option will enable traps to be used in most any situation. Excellent for use when animals are passing through an enclosed wooden deck, wood fence or broken window. 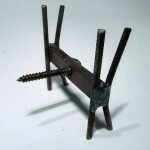 Metal bracket type device that is used to hold bodygrip traps like the 55, 110, 220, 280 or 330 sized traps in place at the mounted level. Most stands and mounting type brackets lift the Bodygrip off the ground and are designed for use under water or where elevation is desired.